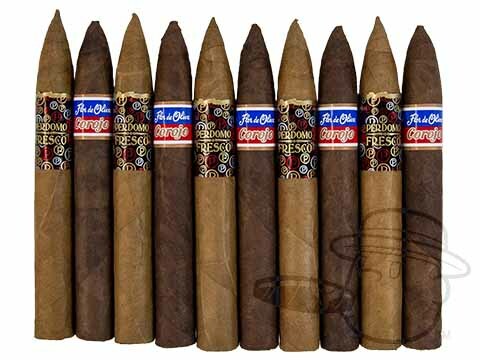 Connecticut-wrapped cruiserweight Perdomo Fresco CT Torpedo enters the ring with bold budget-brawler Flor de Oliva Corojo Torpedo. Only your palate can decide the victor. BCP can always be counted on to give customers nice deals. Both were good smokes at a good price point. Bcp Battle Packs - Perdomo Fresco Vs. Flor De Oliva is rated 4.3 out of 5 based on 3 customer ratings.